Here there are more than 30 places to visit on London’s South Bank and more than 40 additional places to visit, in and around London, shown in this sites Gallery ⇐, most of which can be photographed. This ⇐ indicates a click-on link to a photographic article with a further link to the location’s website. This ⇒ indicates a direct link to the location’s website. Locations can be found on this Google Map where one can enter the name of a location in the Search box and/or click-on + to magnify. Fabulous Maritime Greenwich ⇐ includes extensive parklands, several free venues, numerous photographic opportunities, the Fan Museum, the Naval College Painted Hall and Chapel, the National Maritime Museum, the Royal Observatory, the Planetarium, the Cutty Sark, craft market, a comedy club, theatre, picturehouse, numerous eateries and a notable history. Tower Bridge Exhibition ⇐ ⇒. Visit inside to see the architecture, machinery and high level views including the glass floor. Nearest station is Tower Hill. and the The Tower of London ⇐ ⇒. on the North Bank, includes walking the battlements, the White Tower (armaments and armour) The Fusiliers Museum, Royal Chapel and Crown Jewels. You can photograph for non-commercial purposes everything except the last two. Back to the South Bank and the nearest station to the following venues is London Bridge. Whites Grounds Skate Park ⇒. 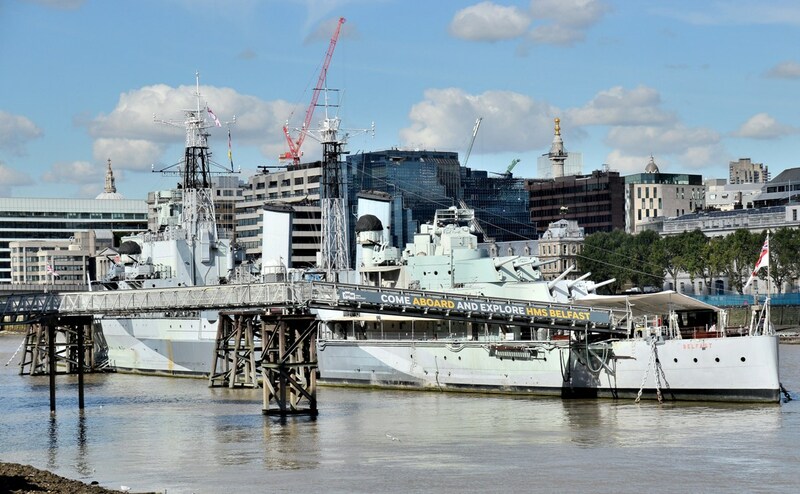 HMS Belfast ⇒. Access is from the South Bank. 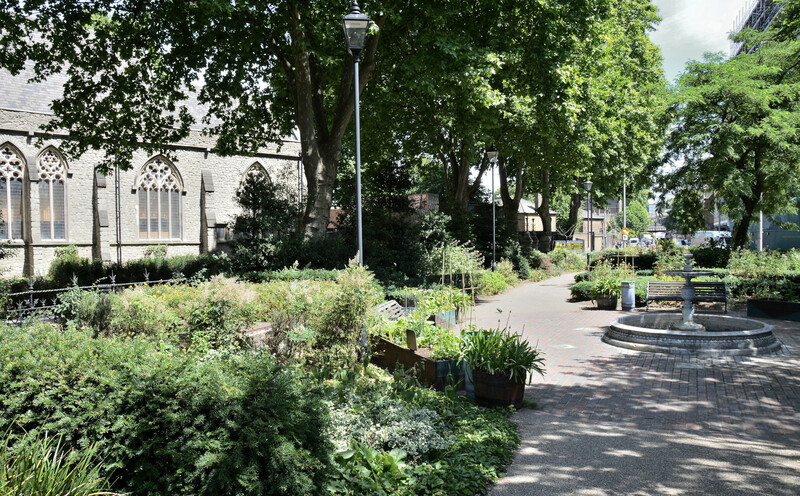 The easiest way to get there is the walkway at the corner Morgan’s Lane (see Google map) near London Bridge station. View what life was like on board for the crew at war and at sea from WW2 to 1963. Best to check the website/contact for photographic opportunity inside the ship. London Bridge City Pier ⇒. Boat trips to/from North Greenwich (east) and Embankment (west). in the European Union. It can be expensive but, according to their website there is “no time restriction on your stay”. 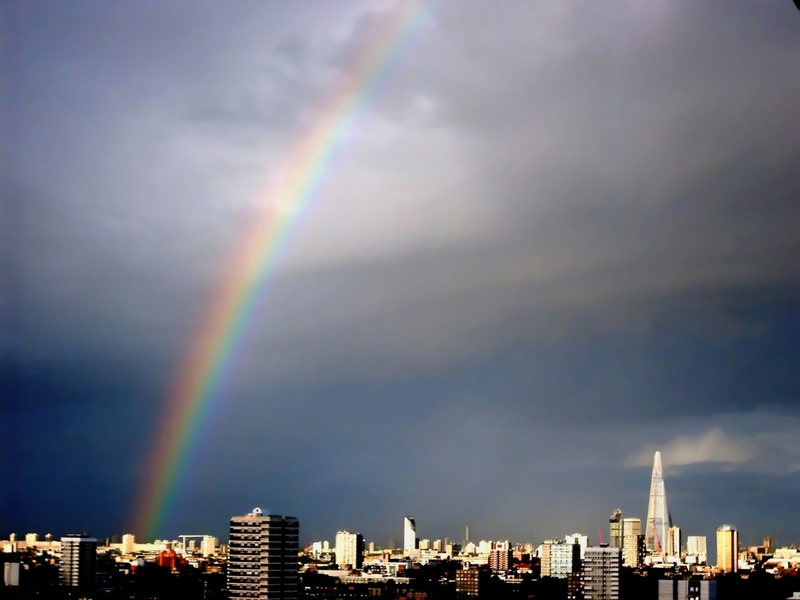 London Bridge Experience ⇒. Billed as the UK’s scariest year round attraction, complete with tombs. Southwark Cathedral ⇐ ⇒. A site of worship for more than a thousand years, it has some extraordinary stained glass and a curious legend attached. It is free to enter and an amateur photographer’s permit can be obtained from the cathedral shop for £2.50. The cathedral is in continuous use, so do check the link (and on to the website) for the times of services. The Clink Prison Museum ⇒. Built upon the original site of the Clink Prison (1144) and gave all other prisons their pseudonym. Do see the link for opening times. The Golden Hinde II ⇒. A replica of Sir Frances Drake’s ship. The original was used to circumnavigate the globe between 1577 and 1580. Available for fun and interactive tours. Anchor Pub ⇒. From where you can get a first view of St Paul’s Cathedral across the Thames. A tavern has been on this site for more than 800 years and was rebuilt in 1676 after being destroyed in the Great Fire of London. The Rose Playhouse ⇒. 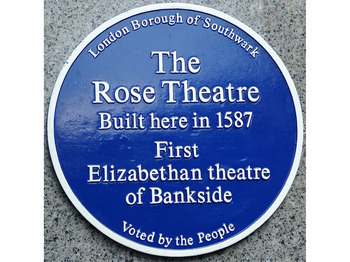 The first Elizabethan theatre on Bankside and continues to entertain audiences today. Please see the website link for “Whats on” . The Globe Theatre ⇒. A replica of Shakespeare’s Globe Theatre just a few hundred yards from where the original stood. The theatre provides tours, exhibitions and plays. Please see the website link for opening times, available options and “Whats on”. Millennium Bridge ⇒(Wiki). That’s the one that, as soon as it was opened, had to be closed for two years to fix the alarming swaying motion and was known to Londoner’s as the “wobbly bridge”. It is now used extensively by pedestrians and is a convenient means of passage between the South Bank and St Paul’s Cathedral. St Paul’s Cathedral ⇐ ⇒. Although this is on the North Bank, it is but a short walk across the footbridge. There is a charge for admission and there are only a few days each year when photography is allowed. It does have some extraordinary architecture and decor, There are many more photographs attached to the above link. South Bank Street Performers mostly in the vicinity of the footbridge. and often includes a Bubbleer more pictures ⇐. The Tate Modern ⇐ ⇒. is a large modern art gallery very close to the footbridge on the South Bank. There are a great variety of works including some of political history and ideology. It is free to enter and you may photograph for non-commercial purposes. Near to The Tate Modern and Millenium Footbridge ⇓. Bankside Gallery ⇒. An educational charity of the Royal Watercolour Society and the Royal Society of Painter-Printmakers. Artwork is also for sale. Purdy Hicks⇒. Art Dealers . National Theatre ⇒. Whats on. Hayward Gallery⇒ . Closed for two years from October 2015 for essential repairs..
Queen Elizabeth Hall⇒. Closed for two years from October 2015 for essential repairs. South Bank Centre⇒ , A variety of events and festivals dedicated to the arts. London Wonderground⇒ . Circus, cabaret, fairground and family entertainment. London Eye ⇒. 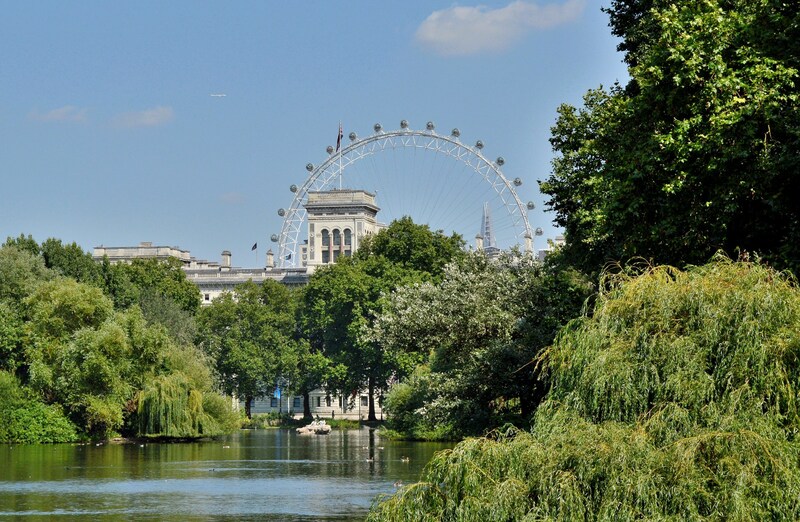 Giant Ferris Wheel (as seen from St James Park on the north side of the Thames). The London Dungeon⇒ . “We are a thrill-filled journey through London’s murky past. You get 110 minutes of laughs, scares, theatre, shocks, rides, special effects, characters, jokes, mazes and storytelling”. Shrek’s Adventure ⇒. “Join Donkey on his magical 4D flying bus before journeying through 10 interactive live shows in a walk and ride madcap adventure”. 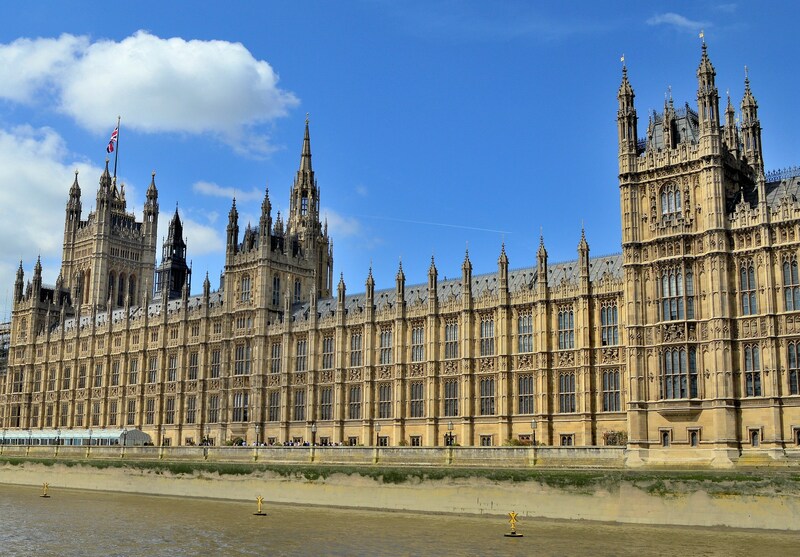 Westminster Palace ⇐ ⇒. As seen from the South Bank across Westminster Bridge. The link leads to information about tours inside the Palace. Lambeth Palace and Park ⇒. Garden Museum ⇒. at Lambeth. 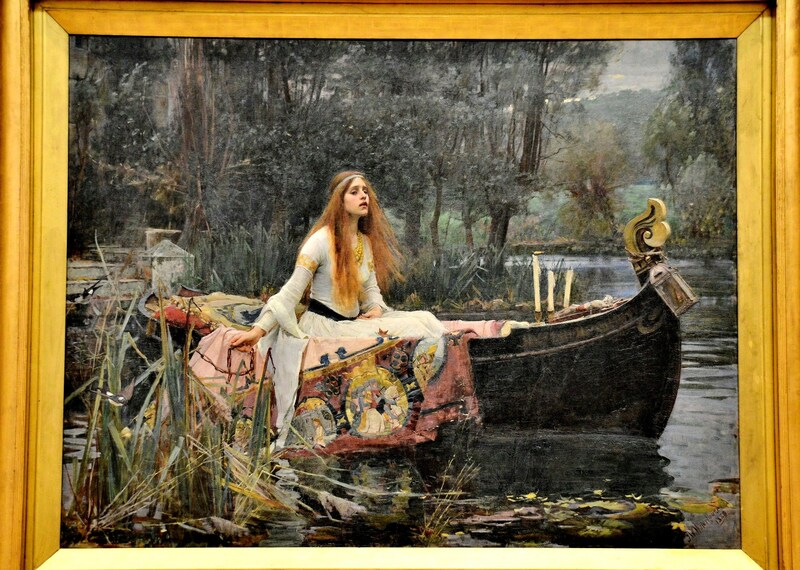 Tate Britain ⇐ ⇒. On the North Bank but only a short walk over Vauxhall Bridge. The Tate Britain houses a quite large collection of classical works and modern pieces. This entry was posted on April 28, 2016 by Graham in Hats. It was filed under Art, Free, History, london, Photography, places to photograph in london, Places to Visit, South London, Travel, uk and was tagged with cathedrals, london attractions, london views, street performers, theatre.